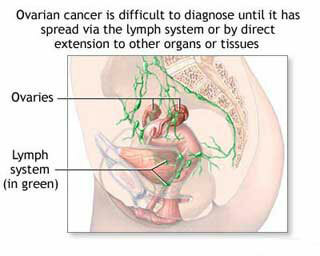 Ovarian cancer pertains to the condition where cancer cells are being produced in either of both of the ovaries. 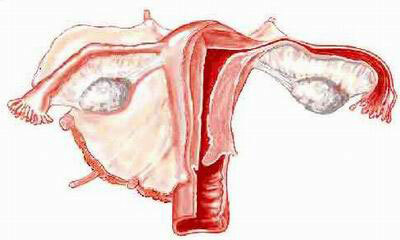 The function of the female ovaries is to produce eggs and hormones for child bearing purposes. It can also help a lot in terms of overall health maintenance. Over the past few years, research studies regarding how to deal with ovarian Cancer has been one of medicine’s top priorities. Once upon a time, developing ovarian cancer would almost automatically mean eventual death. Nowadays, ovarian cancer would not strike fear into any one’s eyes like it did ten years prior. The survival rate for ovarian cancer has significantly increased mainly due to technological advancements during the 20th century. Statistically, an average 15,000 women die from ovarian cancer out of every 20,000 diagnosed yearly. That may seem a huge number but the death rate was way bigger during the previous decade. The number of patients on remission and those suffer but are able to live almost normally have also dramatically risen. There was a time that ovarian cancer had no definitive symptoms and can even be asymptomatic. But it was later found out by researchers that symptoms are indeed present. Presence of signs and symptoms during the early part of ovarian cancer is important in order to detect it as early as possible. The earlier any disease is diagnosed, the better. Doctors are often confused with manifestations of ovarian cancer due to the fact that it is nearly identical to other cancers. An average of 3 to 6 months after the onset of symptoms are majority of the cases diagnosed or confirmed. Ovarian cancer happens due to an abnormal multiplication of tumor-forming unhealthy cells. That is considered true to practically all kinds of cancer. Some researchers believe that the cancer of the ovary can be considered a something that is caused by normal physiologic processes. According to them, the damage is being done every time the ovaries release the egg - resulting in tearing of the tissue then only to repair itself afterwards. Epithelial tumors - take form on the surface of both ovaries. It is also the most common type. Germ cell tumors - form in egg-producing cells. Usually affect younger women. Stromal Tumors - develop in the estrogen and progesterone producing tissue. What Are The Risks With Having An Ovarian Cancer? Screening tests for ovarian cancer have not yet been known to exist. Unlike other cancers, there is no effective way to determine the presence or the possibility of having ovarian cancer during its asymptomatic phase. Though there are some tests like blood chemistry, pelvic exam, and imaging studies are effective in detecting ovarian cancer DURING the symptomatic phase, basically all tests done prior to the said stage will most often than not give a false positive result. The indication of performing the exams mentioned above is to check if the levels of CA 125 protein is above the normal range - indicative of cancer. There are two main treatments used to treat ovarian cancer. The first in line typically is the surgical removal of one or both ovaries. For post-menopausal women, both ovaries are usually removed since they do anymore have the ability to bear children. As for women still capable of giving birth, only one ovary is removed so that there will still be a slim chance of doing it. Surgery is then followed up with chemotherapy to kill all possible remaining cancer cells not removed during the operation. Aside from surgery and chemotherapy, narcotic pain killers like morphine are also administered. Psychological and spiritual therapies are often incorporated to strengthen the patient’s will to pull through his/her current situation. The diet of the patient is also modified since the patient needs the proper nutrients to combat the cancer.